In this developer code pattern, we’ll configure a system with IBM Maximo® Worker Insights to monitor safety conditions in a workplace. This is implemented by analyzing data collected from wearable sensors worn by employees. These sensors have the ability to track environmental conditions (temperature, pollutants), biometric conditions (heart rate, movement) of employees and to track proximity to certain areas. Equip employees with wearable devices. Connect wearables to cloud-enabled gateway via Bluetooth. 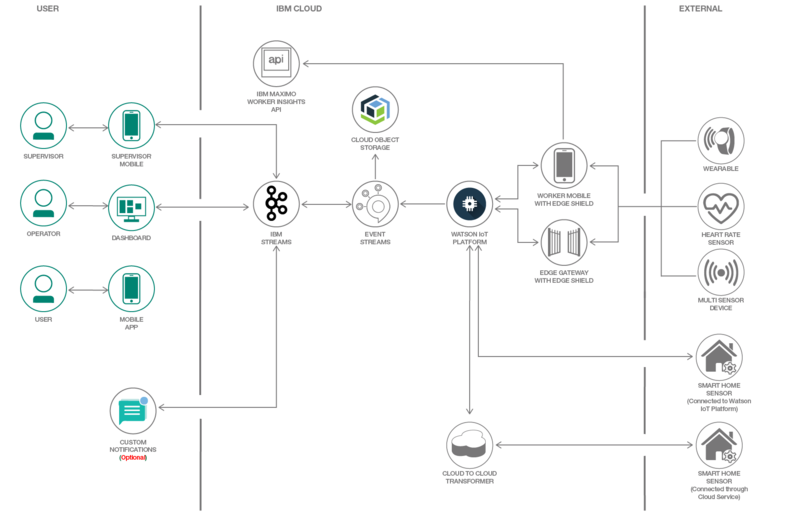 Forward wearable sensor data to Watson IoT Platform and Event Streams services. Raw data and recognized “events” are archived in Object Storage service. Detected events and hazards are displayed in dashboard/mobile application. To put this code pattern to use, see the complete details in the README.